A visit to CERN, the European Organization for Nuclear Research, to check out the Large Hadron Collider (LHC), was the starting point of the Iris van Herpen Spring/Summer 2015 Show, titled « Magnetic Motion ». 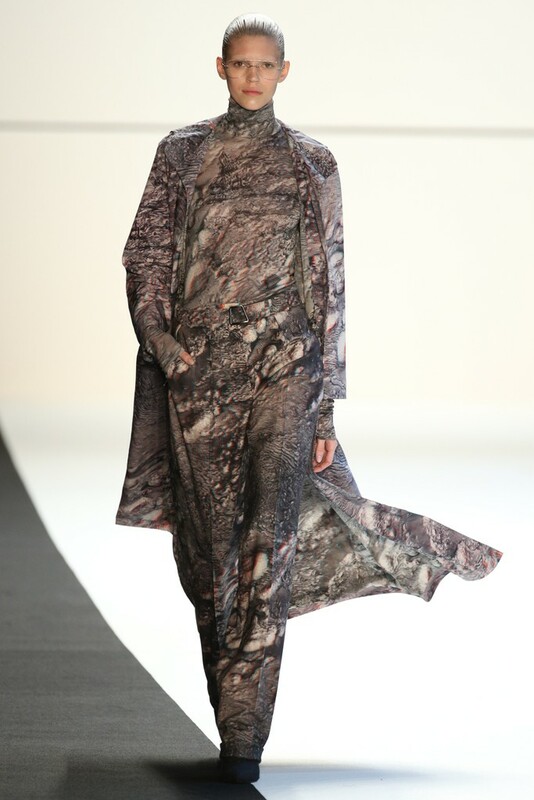 The prints of the Akris Autumn/Winter 2014-2015 Show, made in collaboration with Thomas Ruff, were based on 5 series, including « m.a.r.s.15 », presented in the exhibition dedicated to the German photographer, at Munich’s Haus der Kunst, from February 17 until May 20, 2012. 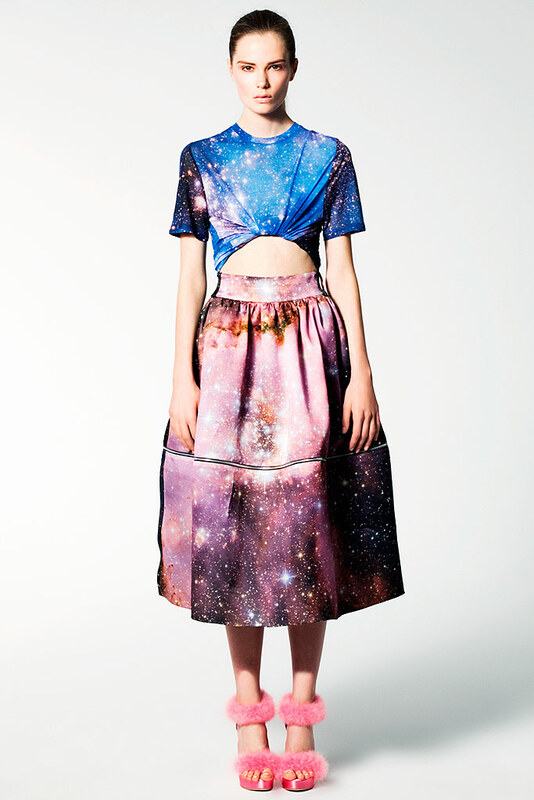 Nebulae as seen by the Hubble Space Telescope (HST) inspired the prints of the Christopher Kane Resort 2011 Collection. 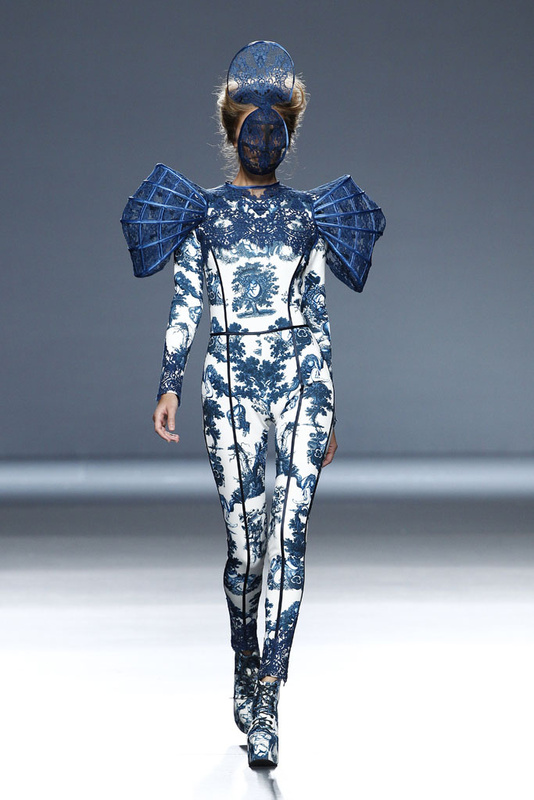 Other Hubble Space Telescope-influenced collections : Badgley Mischka Autumn/Winter 2010-2011 (the embellishments were based on pictures taken by Hubble), Juan Carlos Obando Spring/Summer 2011 (images taken by the HST inspired this show after Juan Carlos Obando watched Toni Myers’ « Hubble 3D » film, narrated by Leonardo DiCaprio, at the California Science Center), Lela Rose Autumn/Winter 2010-2011 (pictures of lunar floors via Hubble influenced this collection), Risto Bimbiloski Spring/Summer 2009 (the motifs were based on stills that were taken by Hubble), Ruffian Autumn/Winter 2010-2011 (the prints were inspired by photographs of the Orion Nebula captured by the Hubble Space Telescope).